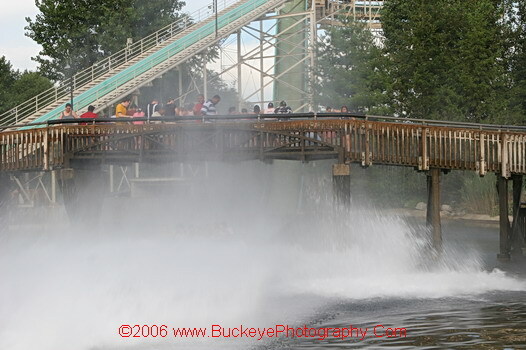 Cedar Point - Snake River Falls - Buckeye Photography, Inc.
An 82 foot splashdown ride...with the emphasis on splash. The drop is steep and fast, and you absolutely without question will get wet.. along with all those on the observation deck. This ride creates one of the largest splashes ever seen.